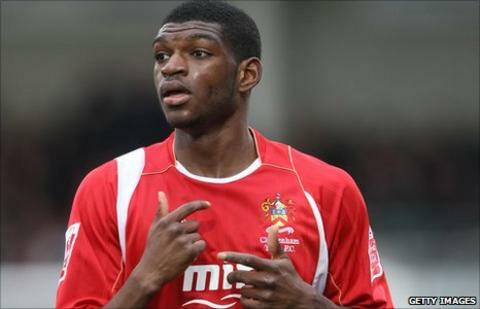 Nicholas Bignall is hoping a successful loan at Exeter City will force him into the reckoning at parent club Reading. With injury worries over John O'Flynn, Richard Logan and Guillem Bauza, Bignall is likely to feature in the Grecians' opening League One game. "This could be the stepping stone that I need to get into the team there," he told BBC Radio Devon. "The manager at Reading said it was a good club to be at and a good place to further my career." He added: "I'll hopefully fit in well with the boys and get some goals under my belt." Bignall follows in the footsteps of Ben Hamer, who spent part of last season on loan from Reading at St James Park: "I messaged him about it quite a bit and he basically echoed what everyone else said that it was a good set up," he said. Bignall had three loan spells in League One last season, playing for Southampton, Brentford and Bournemouth, although he failed to score for any of those clubs. But he is hoping to improve on his lack of goals in Devon. "Hopefully I can get a club where I really fit in and make my name in this division," he said.